This is real bag work, real pad work, and real kickboxing! We do not do the "cardio bunny" light taps and step aerobics. You will be punching, kicking, kneeing, and elbowing your way to being fighting fit. No matter what you do, techniques is important. That's why we have designed a why to teach the technical skills of kickboxing in a high pace routine to keep you moving. Not only will you get a great metabolic workout, you will also learn a lot about self-defense and proper movement. Our trainers are devoted Martial Artists with years of experience in training and teaching. All levels of fitness are welcome! No matter how "in shape" or "out of shape" you view yourself, we can push you farther than you think! If your a desk jockey with a sedentary lifestyle, we can make you move and show you how to enjoy working out. If you are top of world and in the best shape of your life, we can help you breakthrough to the next level and show you new ways of moving your body! Daniel Fredell is the Assistant Instructor and Co-Founder of Fenix Jiu-Jitsu. He has been around the Martial Arts and Fitness community for a long time. Originally starting Muay Thai and Kickboxing at 16, he quickly learned the value in having a safe place to train. Back then the community was so small you had to take what you could get. After a few years, he decided to try out Jiu-Jitsu, but maintained a steady practice with striking focusing more on the health and mobility benefits than fighting aspects. Daniel is also the Senior Trainer at Original Workout where he works with 40+ clients weekly on both health and nutrition. 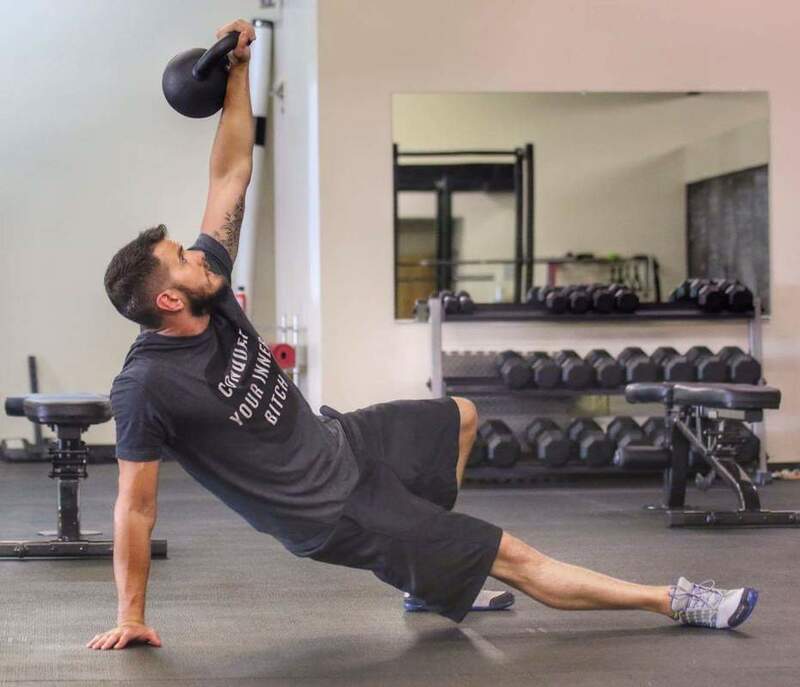 While he specializes in Strength and Metabolic Conditioning, he has a long list of success stories in fat loss, athletic performance, and true functional fitness. For more info check out Daniel's Trainer Profile. Daniel is so passionate and enthusiastic about his Kickboxing. He truly wants to push you to your absolute best that you can be. Meet boxing coach and trainer Jerry Schenck Jr. Jerry’s love, respect, and admiration for boxing, fitness, and Jiu-Jitsu led him to seek out ways to bring this combination to the Hickory area. Now, we’re proud to have Jerry’s unique talents at Original Workout. If you don't have experience with boxing that's not a problem. The complete beginner to the seasoned fitness aficionado will fit right in comfortably. Jerry’s training sessions and classes are not just a fitness boxing workout, but also elements of self-defense, Jiu-Jitsu and intense metabolic conditioning are included. Coach Jerry’s goal as boxing instructor is to not only give you a great workout, but also help you feel comfortable about defending yourself in a real life situation. He is a current amateur boxer and has a passion for Brazilian Jiu-Jitsu too. Jerry is a student of martial arts as a whole with unrelenting drive to be the best at every endeavor. Students are always amazed at Coach Jerry’s smooth and easy demeanor. He has a natural ability to instruct that you just can’t teach. His style is graceful and almost effortless. He’s a natural teacher that appeals to everyone he meets and works with. If you want an amazing full body, technique driven metabolic workout that not only builds great bodies but bad asses, then try a session with Jerry today. First session is always free. Book your session today.